As I just moved to Arizona 6 weeks ago I am very interested in the issues that we face here in Arizona as early childhood educators. These are some of the issues that are important in all states however, it is wonderful to know that Arizona is committed to bringing about change in the way they support the early childhood program. In Arizona we have the Arizona Registry that gives early childhood educators the opportunity to share their experience and education and allows others to see your job experience and education. 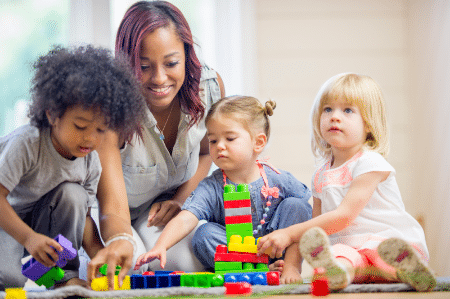 “The Arizona Early Childhood Workforce Registry (Registry) is a web-based system that enables early childhood professionals and those interested in a career in early education to find and register for professional development opportunities and also to keep a record of their experience, education, professional development and credentials in a central location. It is also used to manage application and enrollment in First Things First College Scholarships for Early Childhood Professionals.” Retrieved from http://www.azearlychildhood.org. There is also CDAClass.org. Which is an “online program meets and exceeds the Council for Professional Recognition’s standards for CDA coursework.” This program is available to all interested early childhood staff and the Arizona Registry has scholarships for these classes that if you live in Arizona you can apply for them. Arizona registry also has scholarships to help with education of college in the early childhood field if you are within the income level. To continue my education to receive my Masters Degree in Early Childhood. Always be willing to learn and grow in the early childhood field. Support my families and the children I serve. Support my colleagues and the program I represent. Continue to research and study the theorists and studies conducted on early childhood. Teaching classes to future early childhood educators. Stay focused on loving and supporting the families I serve. Continuing to work for Head Start and help bring joy to the community I live in through service and dedication. Continue on toward my doctorate once I complete my Master’s Degree. Health is always a challenge however since I have lost 100 pounds this year my energy and health have improved 100%. God is my strength and my refuge with his help I can succeed. Have a marvelous week!